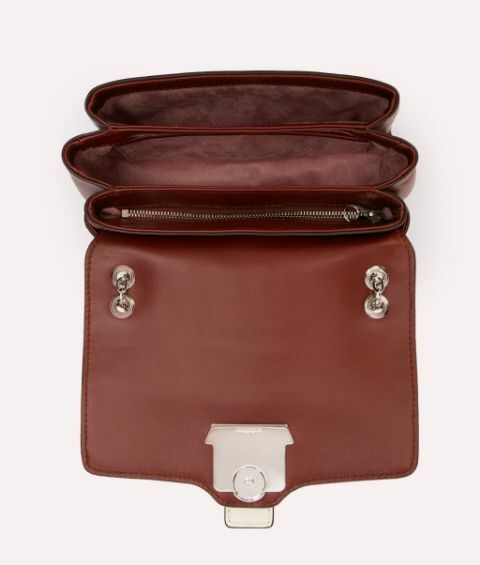 Opulent design comes to Italian crafted Carine, ensuring attention to be captured wherever your journey may take you. 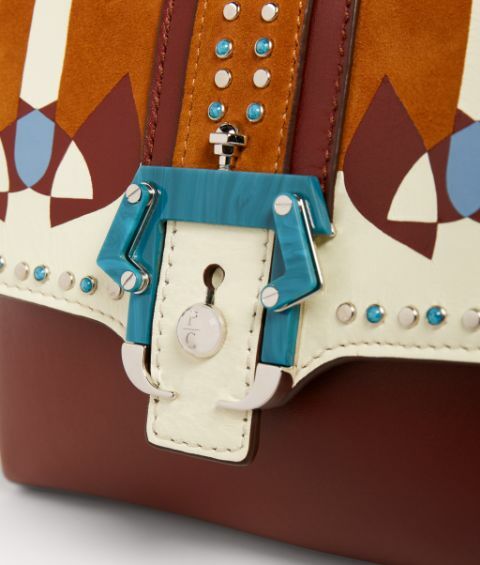 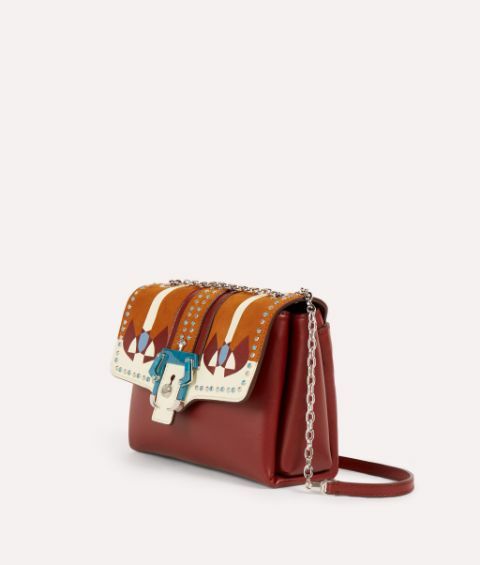 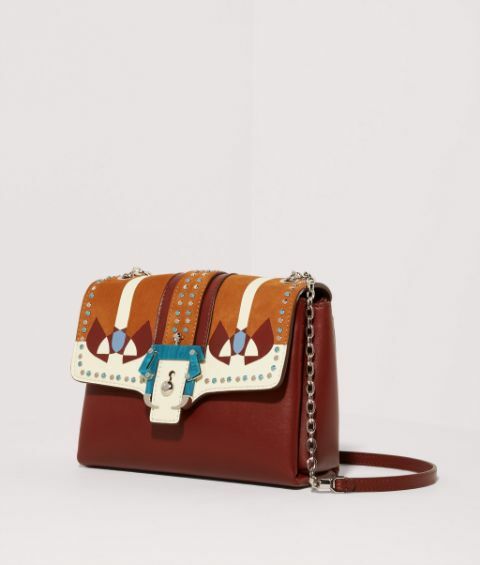 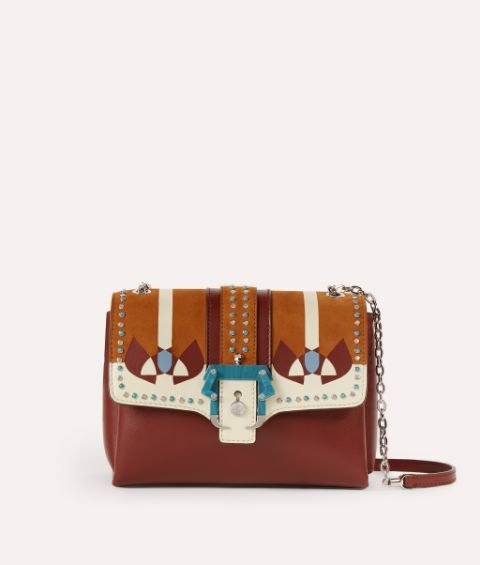 Given a vivid remake in tune with the collection’s Love theme, the crossbody delivers a striking mix of colours through studded appliqués, supple suede accenting and a sumptuous mélange coating for the trademark Paula buckle. 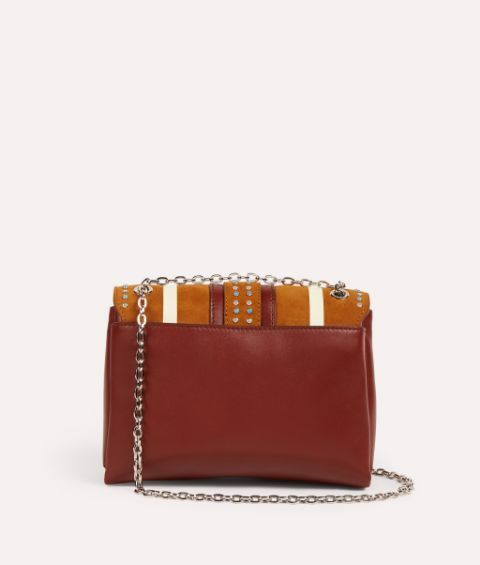 Supported by a shoulder strap merging together linking chains and sumptuous brown leather, Carine Love is a glamorous set piece to stand prominently against the rest of your handbag collection.